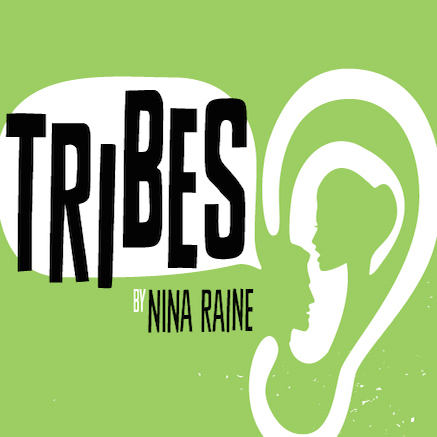 Tribes is the story of Billy, the only deaf member of a loving yet comically dysfunctional British-Jewish family living in London. Along with Daniel, his depressive older brother and Ruth, his cosmically adrift older sister, Billy lives with his parents, Christopher and Beth, in their cluttered and yet comfortingly worn-in home. None of the family’s (Generation Y) children seem to be certain of the next step: Daniel attempts to write his thesis, Ruth half-heartedly tries to procure opera gigs, and Billy makes frustrating attempts to reintegrate himself into family life after having been away at University. Billy’s world is opened up, however, when he encounter’s Sylvia, a young woman who has grown up as the only hearing member of a deaf family. He quickly realizes how sheltered from the deaf world he has been by his family, and how, in their attempts to avoid making him feel like an “other,” they have actually made it impossible for him to take pride in his deafness. Much to his father’s chagrin, Sylvia begins teaching Billy sign language and introducing him to the deaf community. As he grapples with his own identity, we, too, are forced to ask questions about the meaning of belonging, community, and family.